Until now, we've only had one authenticated photo of the nineteenth century poet, Emily Dickinson (1830-1886). The photo (above), taken when she was only 16 years old, shows Dickinson as a youngster in high school circa 1847, well before her literary career came into full bloom. That has been the only visual trace of her to date. 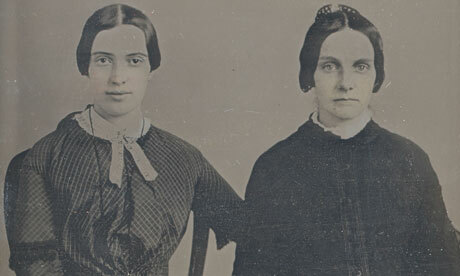 But now, as The Guardian reports, Amherst College thinks it has discovered an 1859 daguerreotype showing the poet with her friend Kate Scott Turner. When this newly-discovered image was taken, Emily (on the left below) was 28 years old and likely writing her mysterious master letters, as one Metafilter reader points out. Poems by Emily Dickinson can be found in our collection of Free eBooks and Free Audio Books, along with lots of other great works. I didn’t know a picture could have such an impact on my image of her. I wish Richard Sewall were alive to see this. Studying this second image again, I’m a lot less convinced… Even taking into account she’d be older in the second image, the girlish mouth is too different and the weak chin in the former image is also gone. Questioning, defiant eyes delving into our souls..such strong women they must have been! I see what you are saying, but look again at her hairline and the upturn of the left side (facing you) of her (Mona Lisa) smile and the downturn of the left. I agree with Inci. Her eyes can not be duplicated. 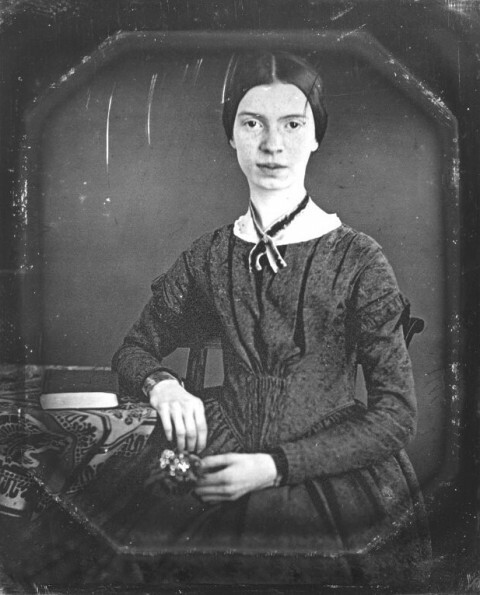 A forensics analysis concluded the woman is not Emily Dickinson. I don’t believe it is. I can’t drop the analysis/photo onto this message!